Can Las Vegas’ success be replicated in Seattle, or have the Golden Knights hit upon an inexplicable and unique magic all its own? We went there to find out. LAS VEGAS — The walk to the rink is lit by neon behemoths like MGM, the Monte Carlo and New York, New York nearby on the Vegas strip. The pulsating bass inside T-Mobile Arena, which assaults you upon entry and rarely lets up, is felt deep in your diaphragm. The likes of Carrot Top, Lil Jon, Terry Fator and Blue Man Group offer video-taped greetings. In other words, the glitz is a huge part of the show when the Vegas Golden Knights take the ice to a rapturous reception on game night. It’s loud, garish and over-the-top, just as you’d expect in the town where wretched excess is a way of life. But strip away the showmanship at the nexus of Park Avenue and Frank Sinatra Drive, and you have something simple, endearing, and quite astonishing: a town falling head-over-heels in love with a pro sports team. And not just any town, but THIS town, Sin City, a repository of transients and transplants in the middle of the desert that would never take to hockey, a sport with no real roots in the community. Or so some thought. But they’ve not only taken to it, they’ve taken the league by storm, an absolute phenomenon of athletic and aesthetic success that has been embraced locally beyond anyone’s wildest dreams. “So far, it’s been a perfect season. 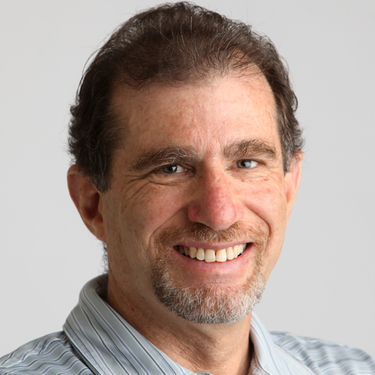 It really has,’’ Knights coach Gerard Gallant told me Thursday at practice – one jammed with fans, as almost all of their workouts are at this facility far away from the strip. It’s hard not to soak all this up, to witness a fan base whose default setting is playoff intensity, as I did on Friday night when the Knights played the Ottawa Senators, and not let your mind wander ahead three years to the possible inaugural season of Seattle’s NHL expansion franchise. I came here to get a gauge on how the Knights built an expansion club that long ago established itself as the most successful first-year team, by win-loss record, in the history of pro sports. Though they’ve hit a bit of a recent slide – their 5-4 loss to Ottawa on Friday was their third straight – the Knights still stand at 41-18, atop the Pacific Division, and their 87 points are third-most in the NHL. 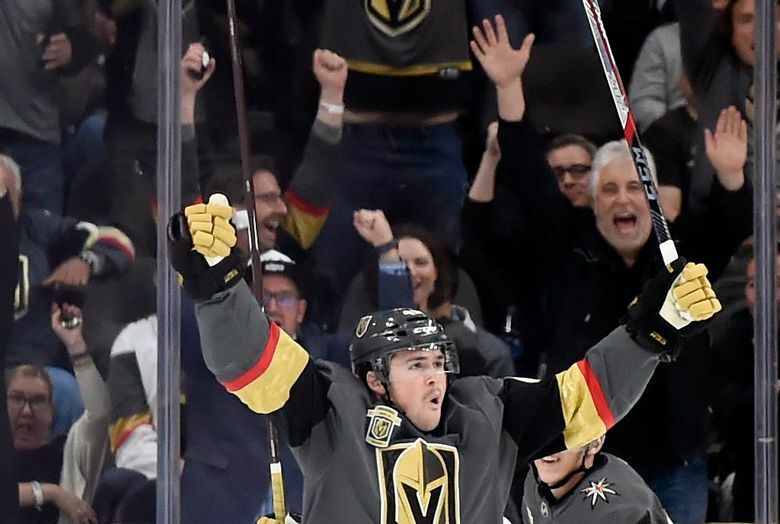 Vegas will be a team to be reckoned with when the playoffs roll around in April, and trust me, absolutely no one saw that coming back in October. It’s a fascinating story of team and culture building, and I’ll have in in-depth report in the upcoming days on the strategy undertaken by general manager George McPhee and team president Kerry Bubolz. But in light of Thursday’s news out of Seattle that the season-ticket offerings by the Oak View Group had generated a lightning-storm of response – the goal of 10,000 deposits reached in 12 minutes, and 33,000 total before the operation was halted – I wonder if we could have another Vegas phenomenon on our hands. In some ways, it’s apples to oranges. 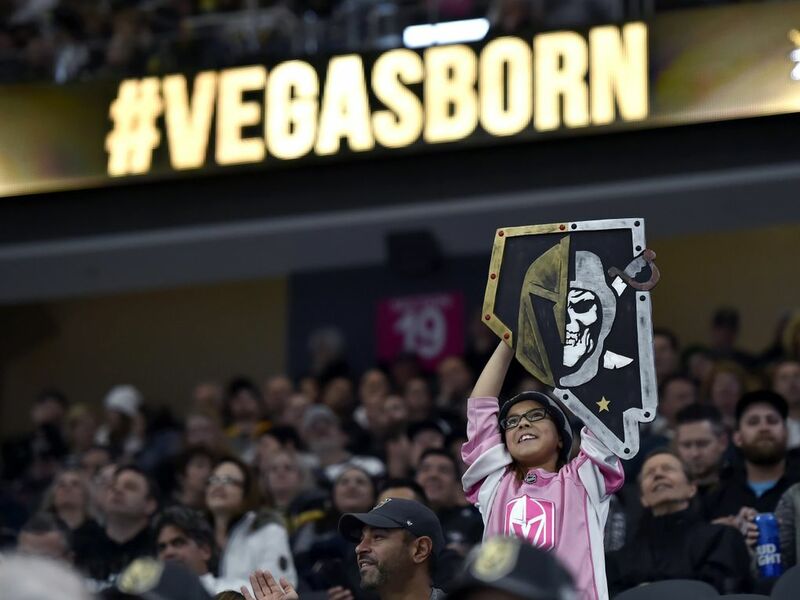 This is the first major pro sports franchise to ever land in Las Vegas. The Raiders soon will bring the NFL here as well, but there’s a loyalty and attachment that comes with being the pioneer. The caring and inclusive manner in which the team handled the shooting incident that left 58 dead and more than 500 wounded on Oct. 1 – just nine days before the home opener — only strengthened the bond. They’ve played to over 100 percent capacity this season. Bubolz, the team president, embraces the challenge of making sure Knights games are heard above the noise in Vegas, where competition for the entertainment dollar is immense (as exemplified by giant signs nearby on the strip advertising upcoming appearances by Bruno Mars, Cher, Ricky Martin and George Strait). In many ways, a Knights game is just another Vegas extravaganza like Cirque Du Soleil or Siegfried and Roy. They’ve adopted a medieval theme, replete with castles, catapults and even a Zamboni machine with jousts mounted on the side. The on-ice projections before player introductions are breathtaking. “The market already defines itself as the entertainment capital of the world,’’ said Bubolz. “So we knew that narrative was already there. We also knew not everybody is going to come here for hockey. As much as we want to build that side of it, people are going to come initially because it’s like an event, an experience. Seattle, of course, has had major professional sports in the modern era since 1967-68, when the Sonics launched, followed by the Pilots in 1969, the Seahawks in 1976, the Mariners in 1977, the Reign in 1996, the Storm in 2000, the Sounders in 2009 and the Reign FC in 2013. The giddiness factor doesn’t figure to be nearly as high, and it’s questionable whether a glitzy show would resonate quite as much. And Seattle doesn’t have the built-in advantage of being loaded with out-of-towners who come to root for the Knights’ opponents, an undeniable attendance boost. 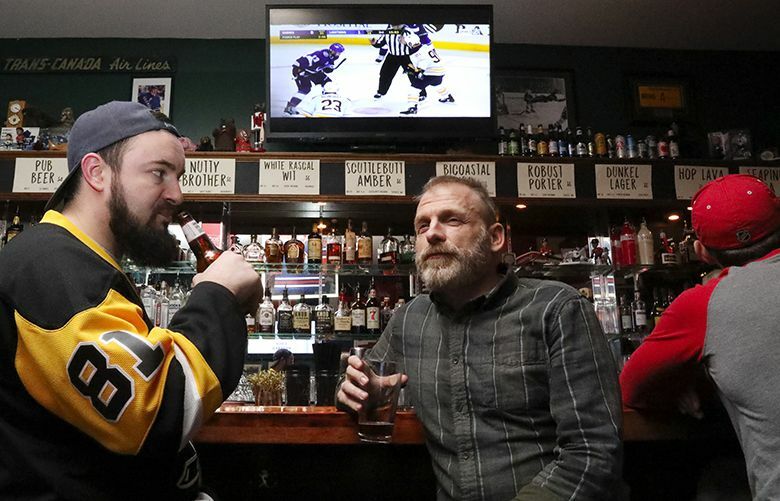 But big-time hockey has been dormant in Seattle since the Metropolitans folded in 1924, seven years after winning the Stanley Cup. There will be a novelty aspect to the NHL — a sport of speed, artistry and just enough violence to make it mesmerizing — that could well make it a tough ticket even with the competition. At least at the outset, after which the quality of the product and presentation will determine its sustainability. Certainly, the ticket whirlwind, which surpassed even Vegas’ frenzied first offering, caught the attention of folks up here. Could Vegas’ success be replicated in Seattle, or have the Knights hit upon an inexplicable and unique magic all its own?